West Ham are searching for improvements to their attacking ranks in January, having seen Javier Hernandez struggle for consistency and Andy Carroll continue to battle injury problems. However, with Marko Arnautovic and Felipe Anderson both showing their value in the final third, it seems that the Hammers would prefer to make a swoop for a player who is more versatile and can play in a number of positions. 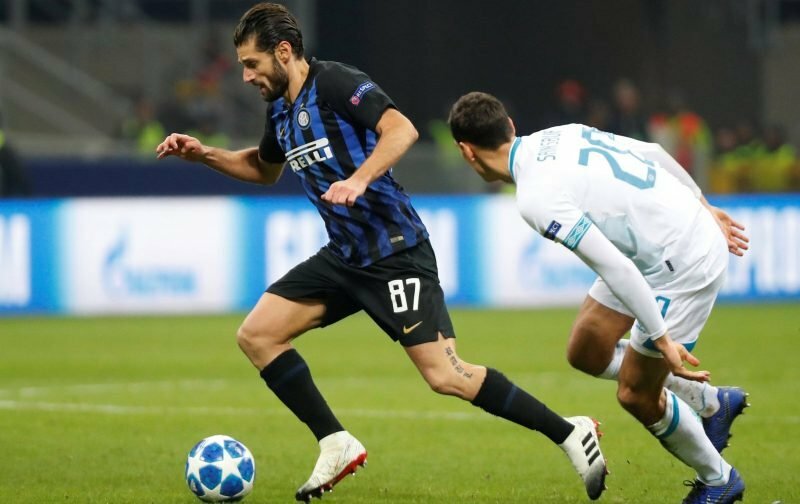 The Sun previously claimed West Ham were ready to offer £10m to bring Antonio Candreva to the Premier League after his first-team opportunities at Inter Milan plummeted, with the 31-year-old believed to be exploring his options. Things have changed once again though as TuttoSport indicate that Candreva has snubbed the opportunity to move to England for two big reasons, with the first being the birth of his first child leading to a reluctance to uproot his family. On top of that, it is stated the 54-cap Italy international believes his chances of earning playing opportunities during the second half of the season will increase due to the fact the club dropped out of the Champions League and into the Europa League.